The Southern Education and Library Board (SELB) Youth Service with support from the Policing Community Safety Partnership and PSNI and in partnership with Translink are launching 12-week awareness campaign at Newry Bus Station. The organization launches it in order to increase awareness of the youth about the dangers and risks of legal highs, which have been in the news lately for bringing troubles and increasing number of emergency room visits in the past months. The said information campaign will also tackle mental health, sexual health, smoking cessation and overall well-being. According to one of the SELB members, Paul McQuillan, working with the youth every day concerns stuff, including alcohol and drug misuse and mental health as well as ways on how to deal with them as they come up constantly. He added that this initiative would begin promoting healthy messages as well as would tackle problems around illegal drugs and legal highs. Furthermore, a member of the Newry Neighborhood Police, Sergeant Tom Young said that they welcomed and supported the said initiative from SELB, especially on the matters concerning legal highs that had a lot of misinformation and that the move would be able to discuss things. He added that it was important that the people were made aware that many substances might not be illegal but they’re unsafe and that using such might be breaking the law and worst they could consume something that was potentially (both harmful and) deadly. 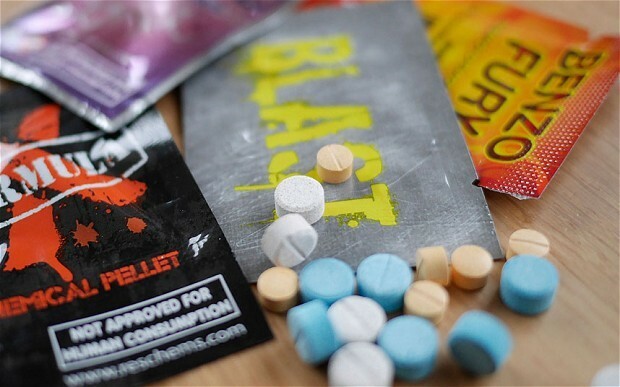 Legal and illegal drugs targeted information dissemination takes place at peak times from 3 pm to 5 pm every Wednesday starting on April 15 and targets the youths who are common victims of misinformation on legal highs in the UK. Eventually, drug awareness campaigns such as this initiative would help in disseminating proper information on the possible dangers and risks that anyone using legal and illegal drugs might face. Very interesting! This is good. People need to be educated and know what is safe vs what may be life-threatening. Highs are only good if you’re able to be alive to enjoy them!